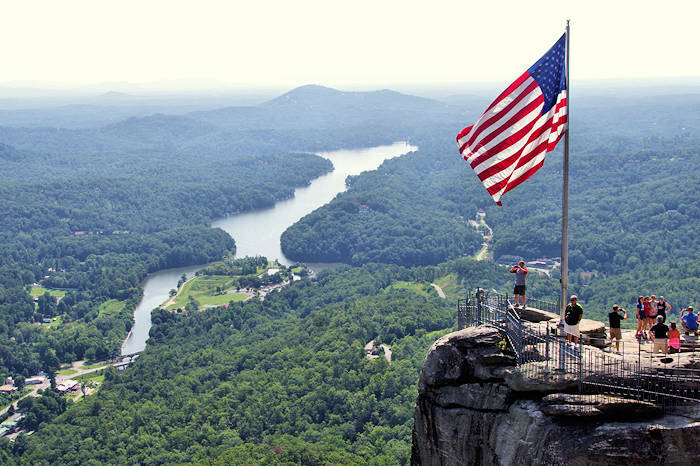 If you want to pay tribute to our veterans, here are a few places to visit in the Asheville area. 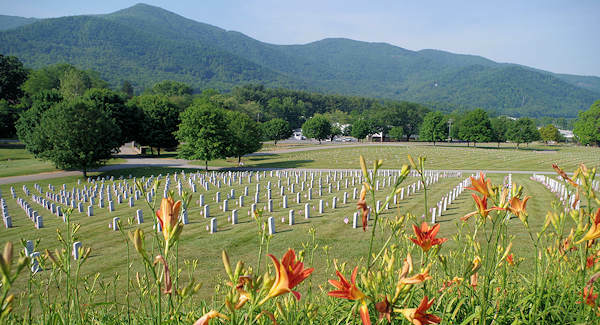 The first stop should be the Western Carolina State Veterans Cemetery in Black Mountain. While this cemetery just opened in 1993, it already has 5,700+ veterans and family members buried there. On Memorial Day Weekend, American flags are placed at every grave and a ceremony is held on Monday at 10 AM. On any day of the year, stop to walk through to read some of the personalized tombstones of our heroes. More than 400 people a year are buried here, 80% of them are veterans. 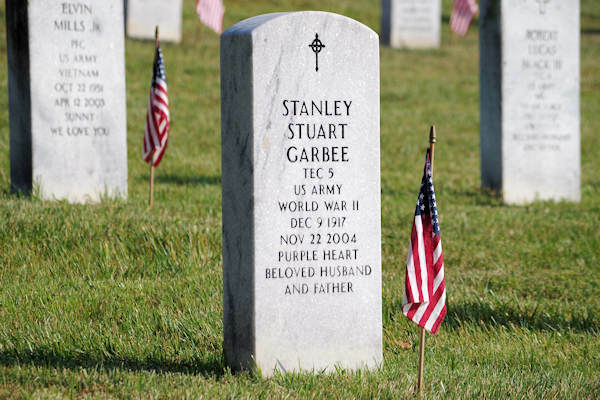 The state of North Carolina provides one burial plot per veteran at no charge. Plus, there is no charge for opening and closing of the grave or the marker. Each receives military honors at their funeral, with flag folding, presentation to the family and taps. This is one of five state veterans cemeteries in North Carolina. The cemetery covers 42 acres. 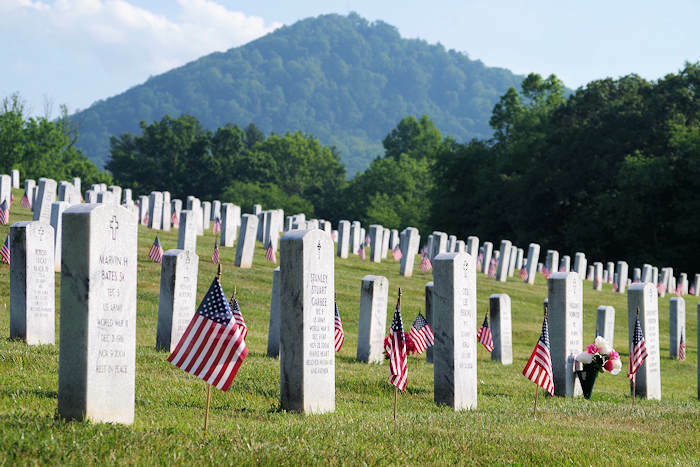 There are no national cemeteries in western North Carolina. 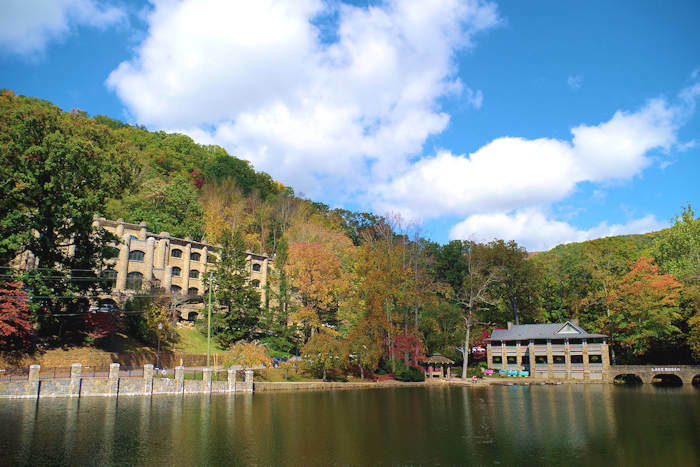 The Charles George VA Medical Center is just 8 miles away in Asheville. In Pack Square Park in downtown Asheville, see the Western North Carolina Veterans Memorial by sculptor Jodi Hollnagel-Jubran. 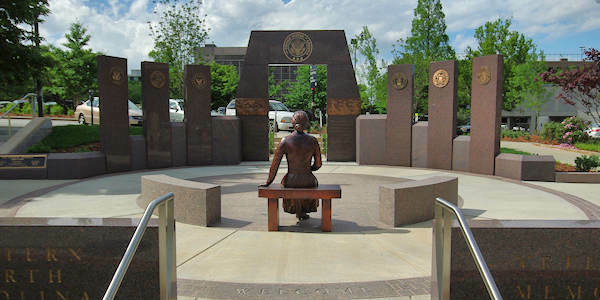 Six upright granite slabs have the a seal for the six branches of the military, Army, Navy, Marines, Coast Guard, Air Force and Merchant Marines. It was dedicated in 2009. Memorial Day Service year each year at 2:30 PM. 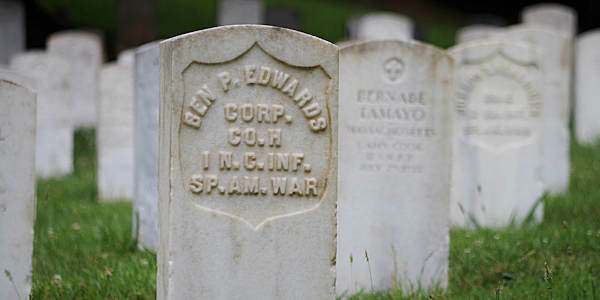 The very historic Riverside Cemetery near downtown Asheville covers 87 acres of rolling hills and dates back to 1885 as the final resting place of many veterans. A special vets section is located on the lower left side as you enter. Civil Wartime NC Governor Zebulon Vance is buried here with more than 250 Confederate veterans. Included is a plot for 18 German seamen who died while interned as aliens during World War I and a plot with 175 veterans of World War I and II who died while patients in the nearby Veterans Administration Hospital. 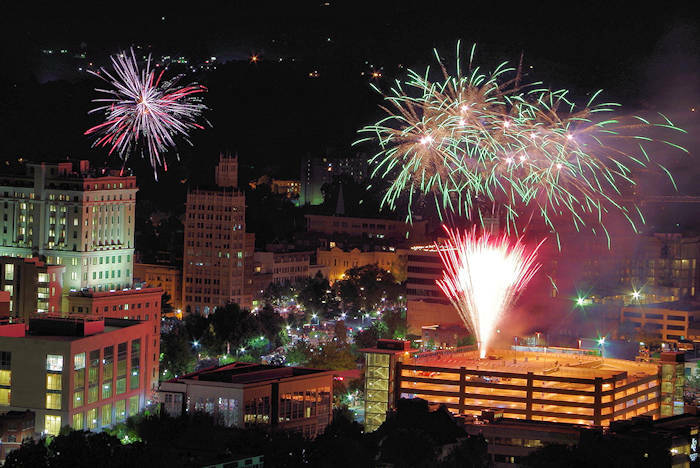 The cemetery is located at 53 Birch St, Asheville. Read more about Riverside Cemetery.